Thanks to the advancement of smartphones and remote-control devices, there are more and more flying objects in the air. I am not talking about drones. Recently, I got an unique gadget from a Kickstarter initiative. 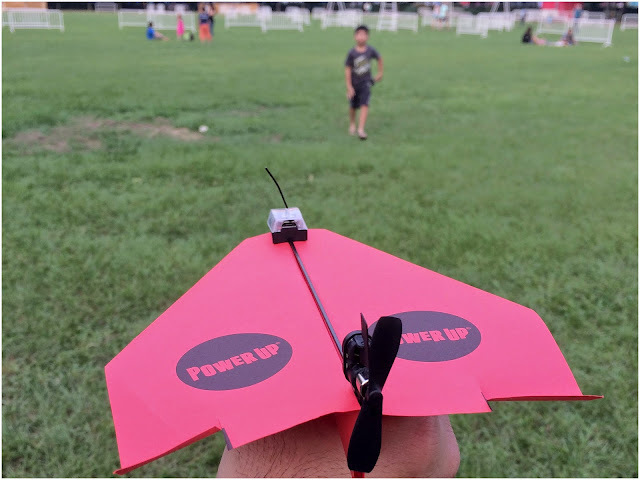 Introducing the PowerUp 3.0 Smartphone Controlled Paper Airplane – now we can remote control via bluetooth and extend flight time of our very own home-folded paper plane. It is a very small and durable device. It is a stick with an aero-head and a propeller attached on the other end. 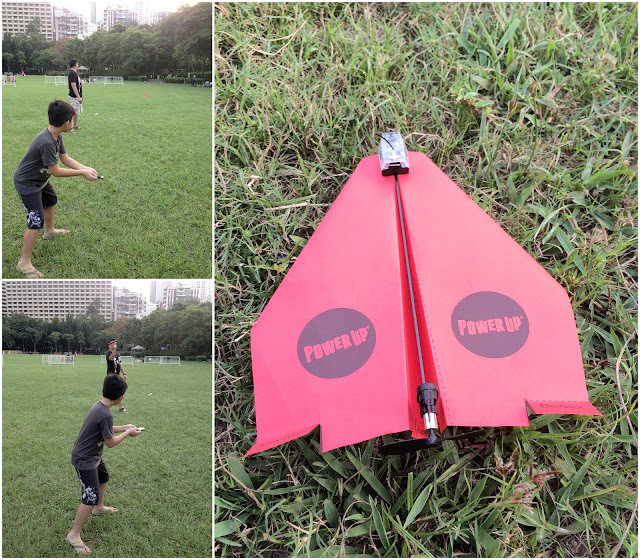 Simply attach the paper plane to the aero-head and use the smartphone to navigate its flight. Like most remote control drones, the only dissatisfaction is the short flight time, each full charge lasted only 15 minutes. This afternoon, Elkan and I took turns to test the flights at Victoria Park. It wasn’t difficult to master and we managed to keep the plane slightly more than 10 secs in the air. Some of the passersby stopped as they thought it was an unusual flying paper plane. As the device was so small, it was difficult to notice that it was a battery-operated plane. For USD49, it promises many hours of fun and explorations. Time to be creative and test different foldings for the most optimal flight. Enjoy our little video.